A new miniature SatComm module, two fantastic electronics kits for kids, and an adjustable, cost-effective soldering iron. Happy Friday, everyone! Well hello there, everyone! We hope you all had a very spooky week, but now we are into November, where the new products get bigger and better as the holidays approach. On this fine Friday we are excited to showcase the new RockBLOCK 9603 Iridium SatComm module, two cute little electronics kits for the kids in your lives, as well as a new adjustable-temperature soldering iron. It's a pretty good Friday, so let's take a closer look! Just as good at half the size! The RockBLOCK 9603 allows you to send and receive short messages from anywhere on Earth with a clear view of the sky. 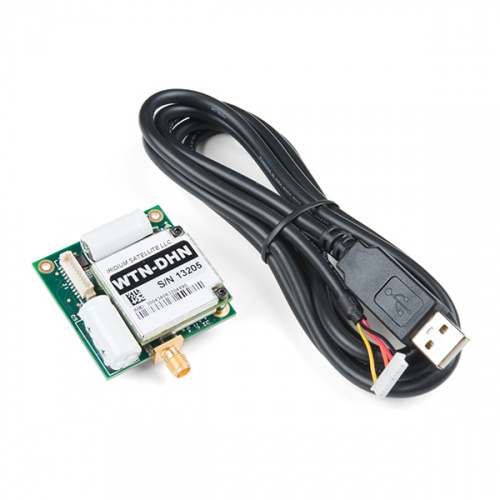 It works far beyond the reach of WiFi and GSM networks. Maybe you want to transmit weather information from mid-ocean or use it to control your robot in the middle of the desert? Perhaps you need to communicate in an emergency, when other networks might not be available? RockBLOCK can help. RockBLOCK 9603 is the smaller version of the standard RockBLOCK Mk2. It has the same capabilities, but is specifically designed to be as small and light as possible. The RockBLOCK 9603 is targeted primarily at systems integrators and product developers where space inside your enclosure is at a premium. Beginner kits for budding electronics enthusiasts. 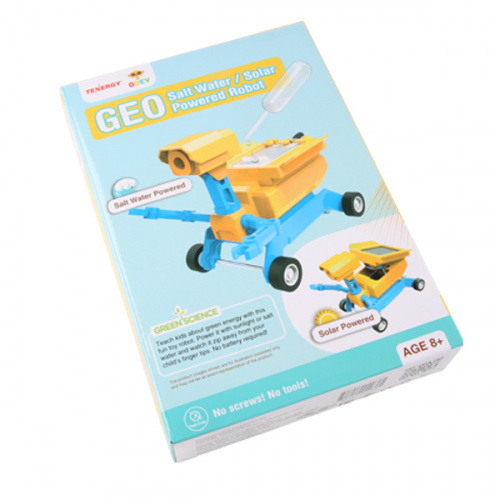 The Odev Geo is a STEM (Science, Technology, Engineering, Math) educational DIY robot kit that teaches young people the value of alternative energy sources and the science behind them. With this easy-to-assemble kit, kids learn how to use solar energy and salt water to power up the Odev Geo and see the robot zip away from their fingertips. Educational fun facts are included in the instruction manual inside each box! If you are looking for something a little simpler than a solar/saltwater-powered robot, how about a hand crank-powered lantern? 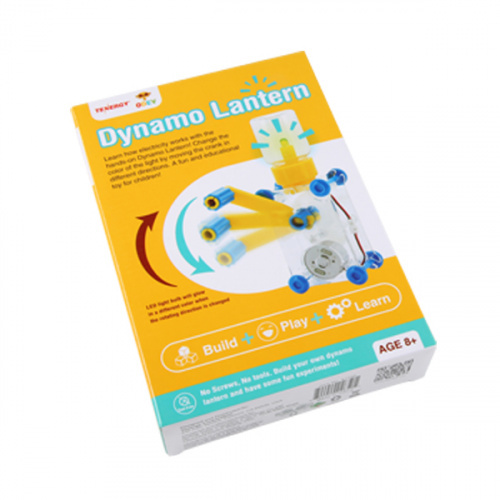 The Odev Dynamo Lantern Kit lets young people turn a simple toy motor into a mini generator that converts hand motion into electrical energy to light up a light bulb. With this easy-to-assemble kit, kids learn how generators and electricity work by seeing the result of lighting up a light bulb with their own hands. You can also make the light bulb change colors from blue to green by rotating the hand crank in the opposite direction. Simple assembly instructions are also included with this kit. 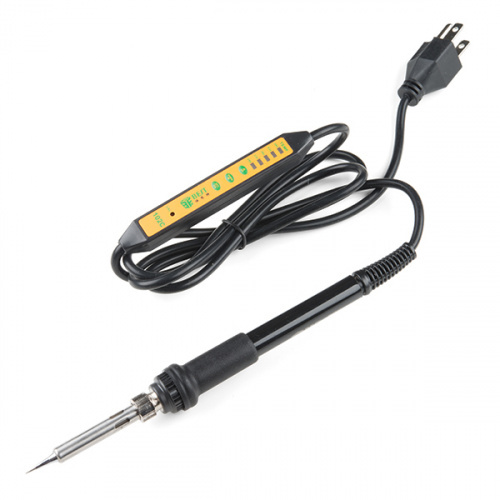 This adjustable-temperature soldering iron is a great tool for when you don't want to break the bank but still need a reliable iron to get the job done. Operating at 60W and 110V, this soldering iron can be adjusted to five different temperatures: 280°C, 330°C, 380°C, 430°C and 480°C. This iron is very easy to use and features an on/off switch, allowing you to keep it plugged in on your workbench stand for quick use. That's it for this week, folks. Make sure to get that brilliant extra hour of sleep this weekend (provided you are in an area where the time changes). As always, we can't wait to see what you make with these parts! Shoot us a tweet @sparkfun, or let us know on Instagram or Facebook. We’d love to see what projects you’ve made! Thanks for stopping by. We'll see you next week with a HUGE week of new products! I used to work for astrophysists at the Bartol Research Institute, and we used Irridium (not RockBLOCK hardware, I forget who's radios we used) for our stratospheric ballooning projects. The data rate for Irridium wasn't high enough for our full science data, but it was useful for sending commands and receiving basic telemetry to gauge the health of the payload flying at nearly 130kft.